Chennai is abode of good South Indian eateries just like Bangalore. Precisely speaking, there are lot of whole in the wall kind of places which are appreciated by native People as well as travellers. Being a frequent visitor to Chennai, I was told to visit few must try ones like Ratna Cafe, Rayar’s Mess, Palm Groves and few more. Somehow, I made up my mind to visit Rayar’s Aka Rayaru Mess in Mylapore. The vicinity is more of vegetarian population and certainly make you feel that you are in actual Chennai. Rayar’s Mess is located in the narrow lanes of Mylapore, difficult to locate if you are visiting for the first time. But, don’t worry you can easily notice people in long waiting queue to savour the breakfast at Rayar’s. It’s not a place for the people who expects great ambiance and service. As the interiors are very minimalistic. Imagine how the 75 years Place would be. Also, they are serving food prior to Indian Independence. The people who manages & owns this place are originally from Karnataka and later relocated to Chennai. The dining area has 4 tables, which can accommodate 16 people (Approx) and people will be eager to get a seat whether it’s a weekday or weekend. Ideal time to visit Rayar’s Mess would be at 7.30am especially for the melt in mouth Pongal. They do serve some snacks in the evening which I am yet to try! Well, the menu is simple with Idli, Vada and Pongal during breakfast. The accompaniments are Gatti Chutney (Thick Chutney), Khara Chutney (Green Chilli), Ghee, Podi and Sambar. Pongal over here is soft and tastes outstanding. I have had Pongal at various places like Madurai, Tiruvannamalai and Kumbakonam. 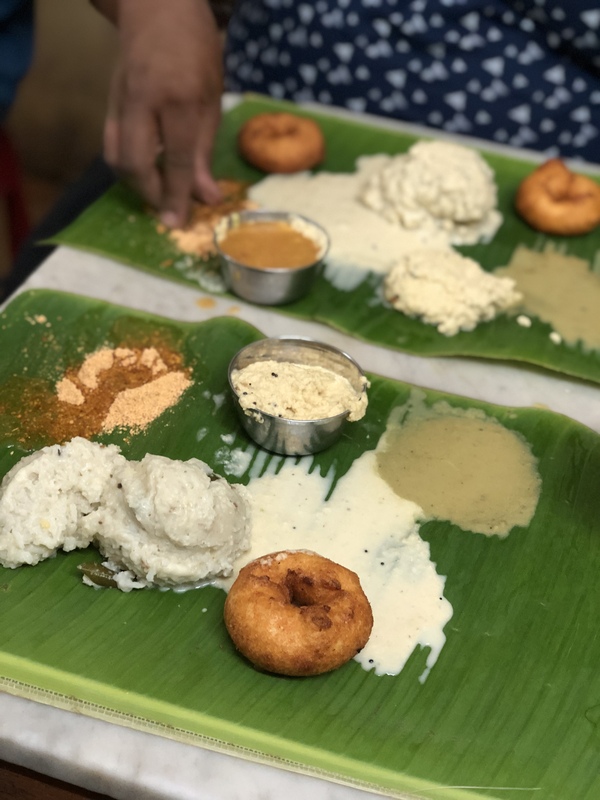 However, here it’s tastes unique and most likely Kannadigas will appreciate more than anyone. Idlis are piping hot and comes immediately from Cooker, which are exceptionally soft and just melts with Gatti Chutney or Ghee Molagaipodi. Medu Vadas are medium sized and tastes pretty decent though. If you want to have spicy, then ask for Khara Chutney which is just brilliant. I somehow dint enjoy the Sambar, feel little watery. You must end your breakfast with authentic big tumbler South Indian strong filter coffee! The folks over here are very sweet and try talking to them in Kannada for exclusive hospitality.